The winter thaw has left the ground soft and the rains that we have had in South Western Nova Scotia have kept it that way. It is a good time to work the soil to get your gardens ready for the upcoming season. 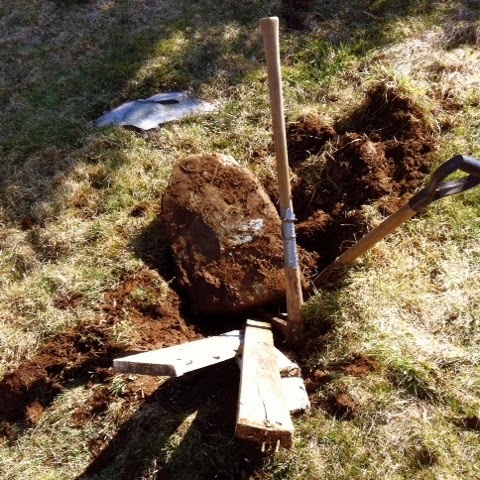 It is also a good time to remove some pesky large rocks that might be in the way. Over the last few years, I've done a lot of work to the area surrounding my garden. This includes filling in ruts, laying down peices of sod and removing some large rocks. We can now bring the ride on mower over many parts that we could not in the past. This year, I had a few large rocks that needed to be removed. A couple of them were so large that I couldn't physically lift them. 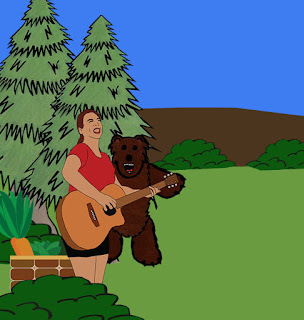 I managed to use boards and various other objects as props to lift them and I came close. In the end, I had to get my testosterone-filled teenage son to remove them for me. I don't give that boy enough credit for his capabilities sometimes. I did bother me that I couldn't physically lift them though. The large holes where the rocks were are now filled with dirt and soon we will be able to mow there as well. I'm thankful. 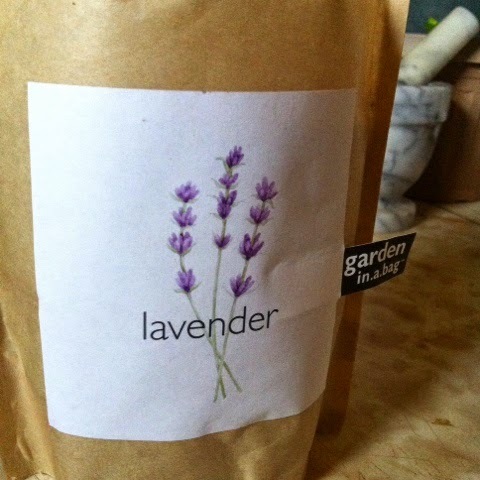 Last week, I picked up a few herbs at Dayton Fruit Stand and a bunch of seeds. 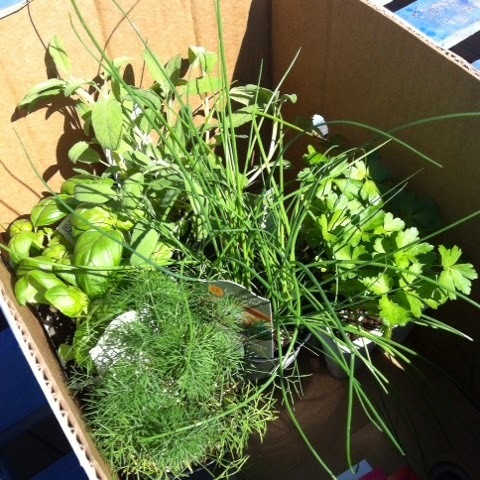 I gathered Dill, Basil, Sage, Chives and Parsley. I have plenty of Oregano at home and I frequently harvest, dry, grind it and store it in Mason jars. I wasn't planning on growing parsley this year but I found a seed pack for asparagus. Asparagus is a perennial and parsley helps deter asparagus beetle so I thought it was a good idea to pick some up. I'm trying to focus more on perennials aside from my normal vegetable annuals. It's nice to have things that return each year as the earth awakens after the winter. This is a good start, I will keep everything in my south-facing kitchen window until the weather warms up. In the meantime, I will stick to getting the soil ready for the cool weather crops I will soon plant. 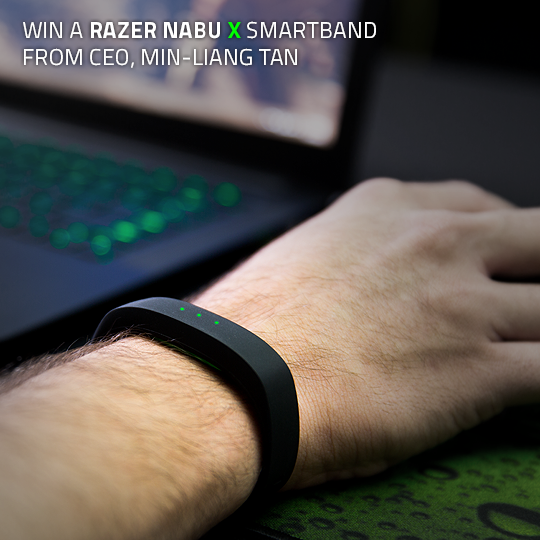 Enter to win a Razer Nabu X Smartband. It tracks sleep, steps, calories, distance and has social band to band capabilities and is very affordable. 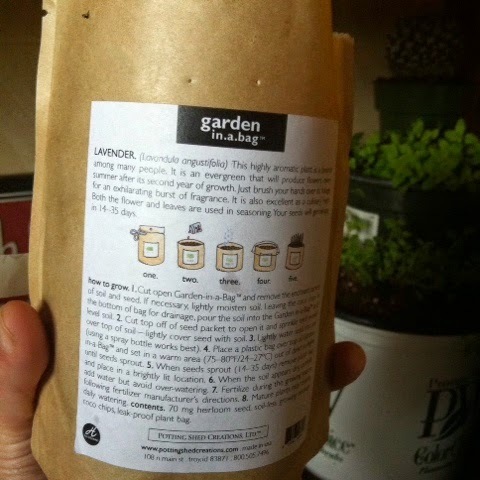 Have you heard of Garden in Bag? At Christmas time, I received one from my bestie. She spoiled me this year actually, I certainly didn't feel deserving of it but I was grateful. I've seen these online but I hadn't tried them out before and I'll admit, I was very curious. Now that gardening season is upon us, I finally opened up the bag. 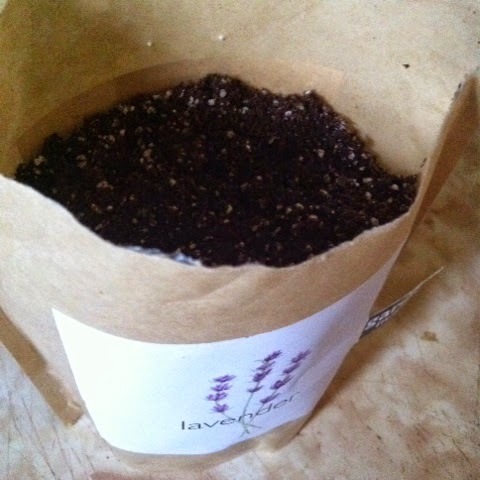 Inside the bag was a pouch full of dirt, some lavender seeds and some cedar chips to place at the bottom of the bag for drainage. I spread the chips evenly along the bottom of the bag and then emptied the pouch of soil into the bag. Afterwards I scattered the seeds and covered them lightly with soil. 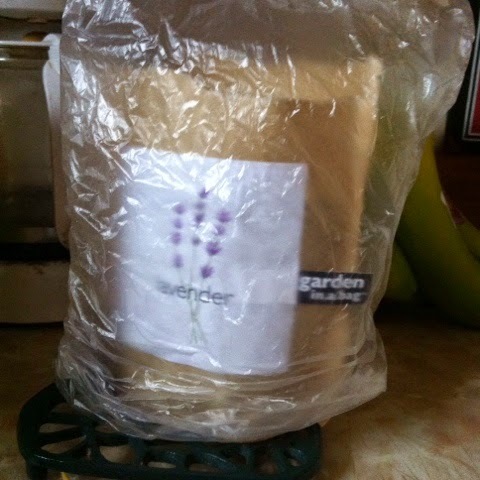 The instructions recommend that you cover your new little garden with plastic in a warm location until the seeds sprout and then afterwards you can remove the plastic and place in a nice sunny spot. It has been in my kitchen for about a week now, I'm noticing a little bit of sprouting. After a few more days it should be ready to put in the window sill. I'll take some pictures later on in the season so you can see how it has developed. 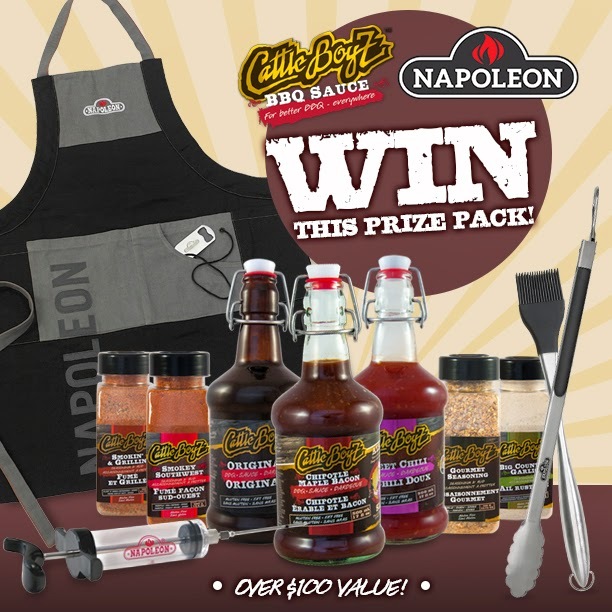 Enter to win the Cattle Boyz Prize Pack featured above, just in time for BBQ season. 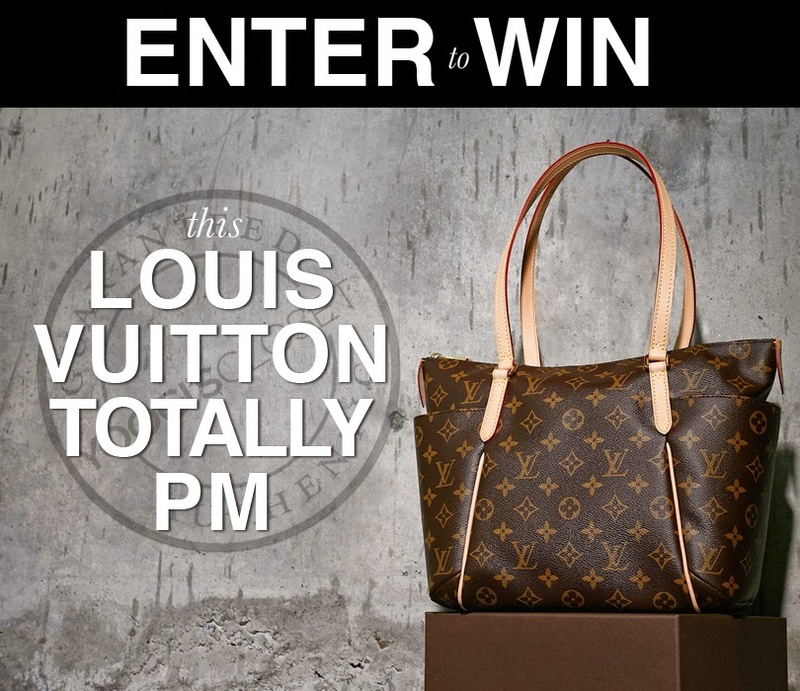 Enter to win this beautiful Louis Vuitton bag from Yoogi's Closet. 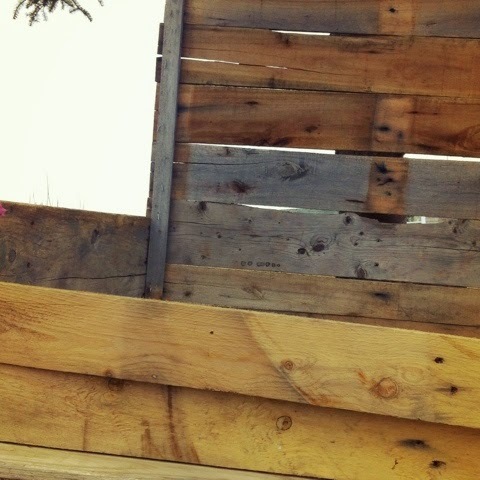 We normally have a fair amount of pallets around the property. Not all of them are in great condition, but I like to re-purpose the wood whenever possible. I've been interested in building a potato bin to grow a lot of potatoes in a small space. I removed the nails from a couple of pallets and kept the frame of one of them intact. 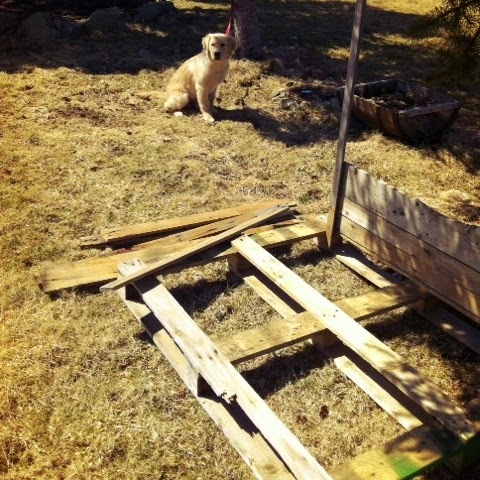 I then affixed a couple of 2x2's to the frame and to it I nailed the wood that I salvaged. As you can see, it is far from perfect. That's okay though, it will still serve its purpose just fine. I'm not worried about any soil escaping through the cracks either as there will be a layer of hay between the dirt inside and the wood. I've moved the box to it's seasonal home and I have filled the bottom in with rocks for drainage. I will be covering the outside of the base with dirt. I still haven't added any dirt or potatoes to the creation. 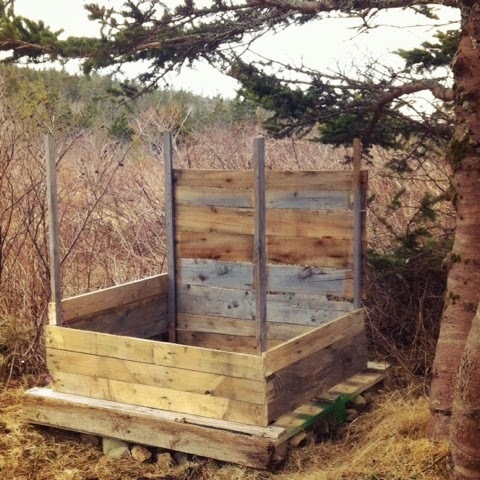 I will add more wood to the sides as I fill the box up with dirt throughout the season. The next nice day, I will go out and finish the job. I will put a nice layer of compost, some manure and then some seed potatoes and I will cover them with dirt. Each time they grow above the soil, I will cover them with more dirt. I will post pictures throughout the season as the sidewalls grow in height. I can't wait to see the potato plants bursting from the very top of the box. 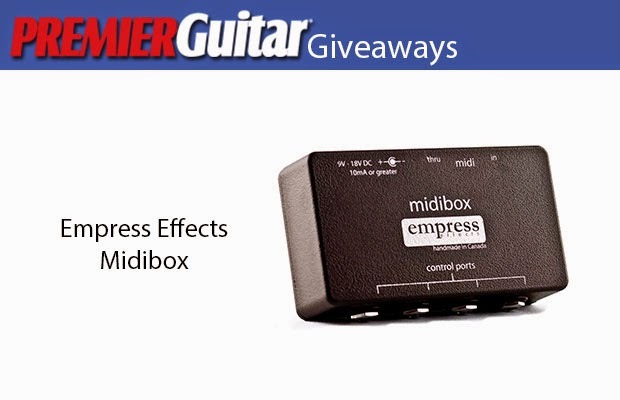 Enter to win an Empress Effects Midibox from Premier Guitar. 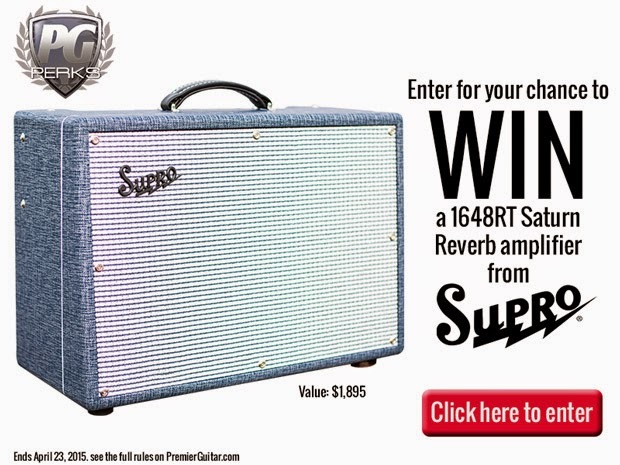 Enter to win a 1648RT Saturn Reverb Amplifier from Supro and Premier Guitar. Win Deluxe Edition Box Sets of Nevermind and In Utero, a value of $300. Enter to win 1 of 2 Underwear Garment sets from Divine and Wonderbra. 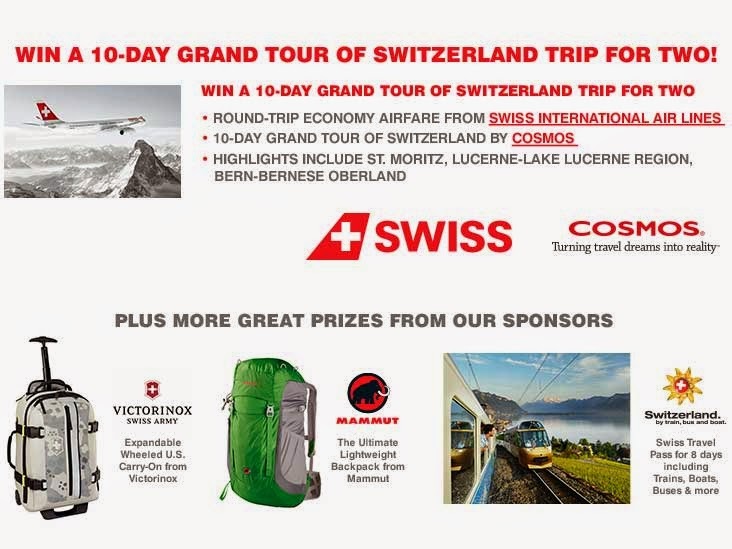 Vote for your favorite personality to win a 10 day trip to Switzerland for two. 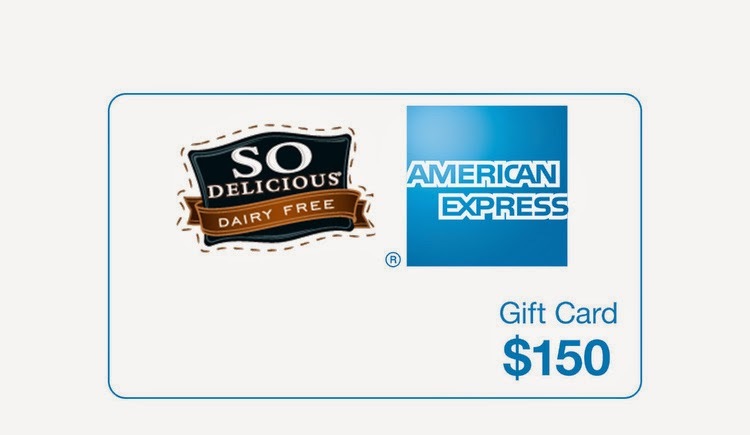 Enter to win a $150 gift card for American Express from the Ellen show so you can buy some So Delicious Products. Enter to win an Earth Day Prize pack from E.D. Smith. 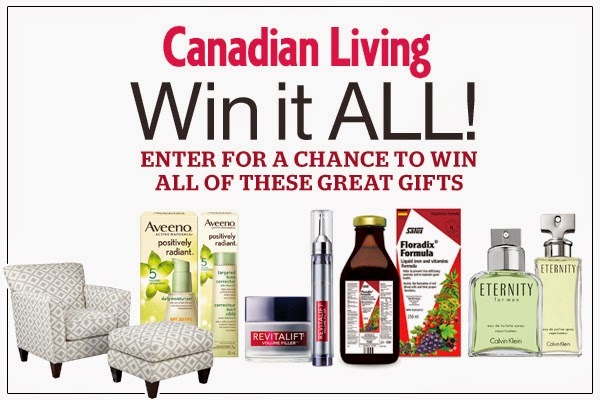 The prize pack contains 3 jams, 1 green lid compost set and some gardening accessories. 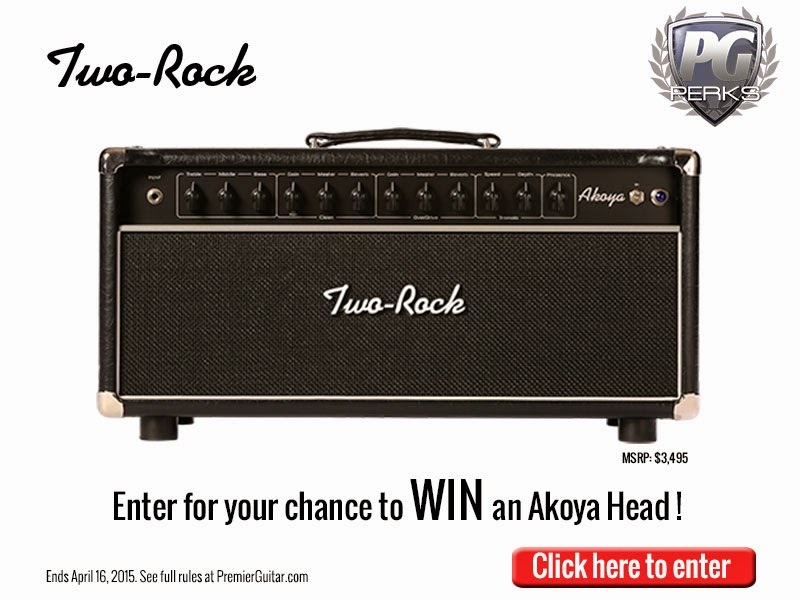 Enter to win an Akoya Head from Two-Rock and Premier Guitar. 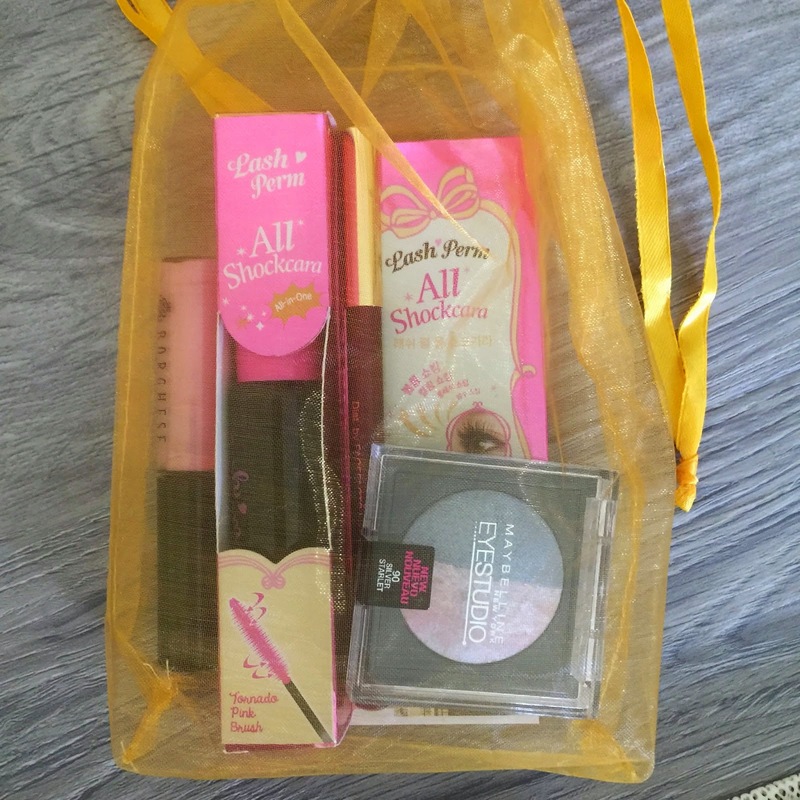 Enter to win a makeup prize pack from My Style Spot. 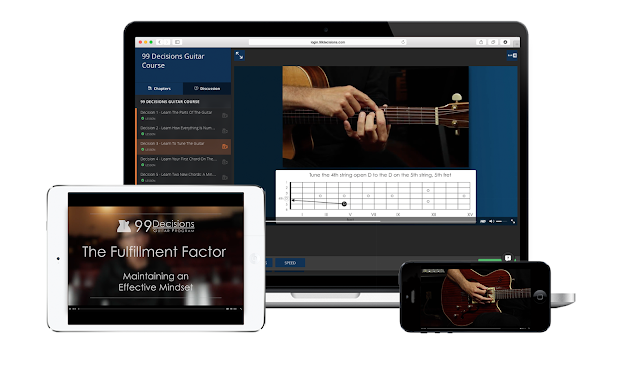 Enter to win a Godin Electric Guitar and a Lifetime Membership to 99 Decisions Guitar Program.